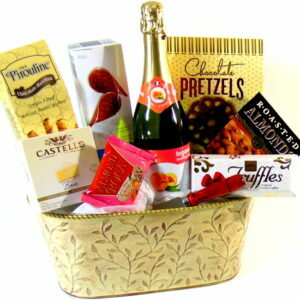 Gourmet basket Toronto Free Delivery. Wicker beige square basket with the word Paris. 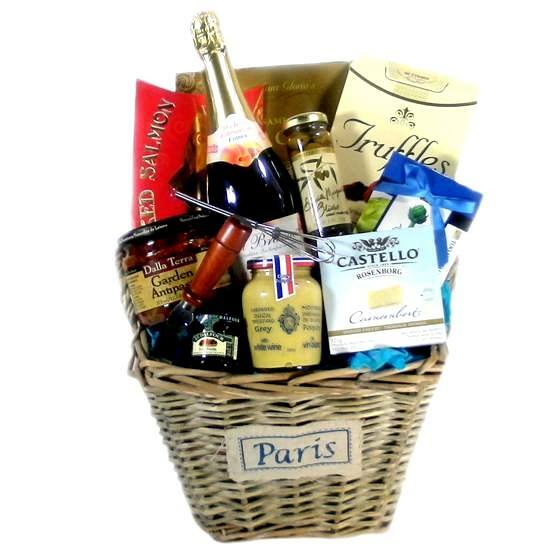 French gourmet food, sparking drink, chocolates, Dijon mustard, cheese, crackers, olives, French Jam, smoked salmon and much more. We offer Free hand delivery in the Toronto area. Gift basket for any occasion Mother’s Day, Happy Birthday, Thank You, Get Well Soon, Happy Anniversary, Congratulations, New Home, Happy Thanksgiving, Mothers Day. Gift filled with goodies and snacks everyone will love. Send you message with gift hamper. Enjoy. Thank You. Sorry. Love You. Get Well Soon and much more. 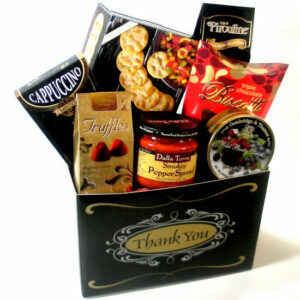 The recipient will enjoy the gourmet basket Toronto free delivery.